The file Shinra Alternate History Mod v.0.7.6hf is a modification for Hearts of Iron IV, a(n) strategy game. Download for free. 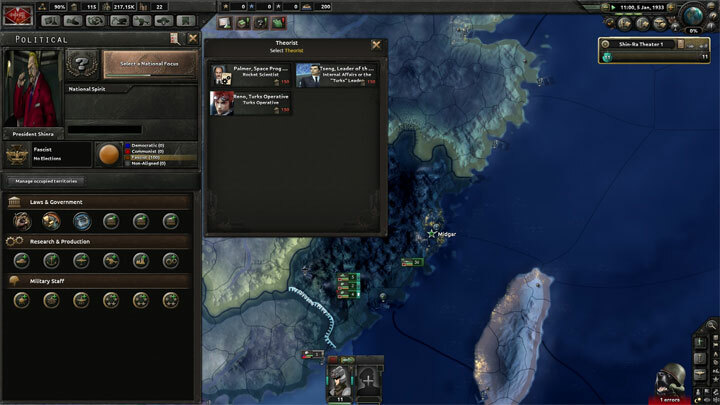 Shinra Alternate History Mod is a mod for Hearts of Iron IV, created by Shinra Alternate History Mod Developers. Somewhere on the south area of Nationalist China, a military manufacturer known as Shin-Ra Inc has emerged and claimed territory for it's own. The shin-ra company has discovered a powerfull power source called MAKO Energy, with that they made a powerfull army and researched advanced technology, noone knows this secret and now they are about to conquer the world, will you help them, destroy them or be them?, May this Country change the course of War and the world?.